We are corn and soybean producers consisting of owned and rented land. We take pride in taking care of rented land as we would our own. 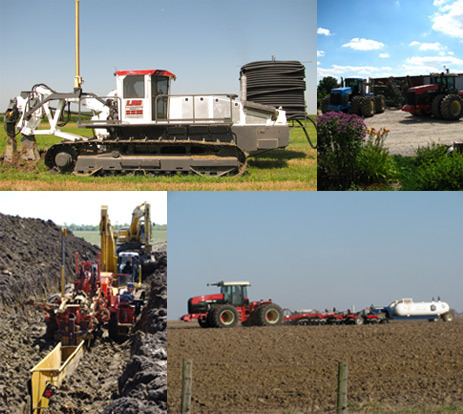 LRS Farm Drainage is a leading drainage contractor installing over one million feet of drainage tubing annually. We specialize in drainage systems with close spacing of 25-40 feet with large capacity mains.